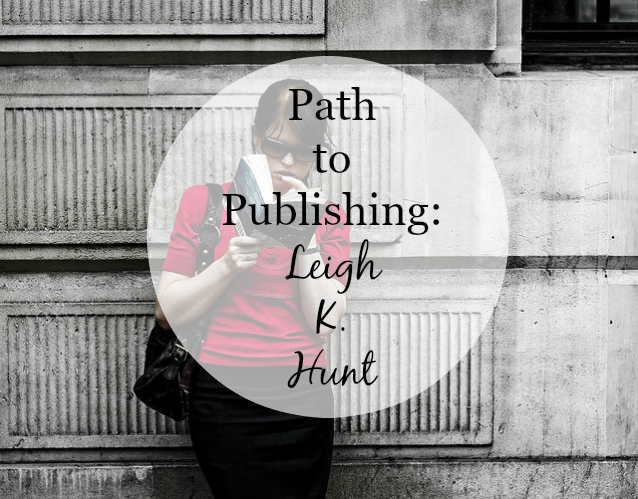 Path to Publishing is a new blog series in which I interview published authors. It’s a great way for them to get free exposure as well as help other writers who are trying to get published. This week, I’m featuring thriller writer Leigh K. Hunt. What’s your name? What do you write? Leigh K. Hunt. I write and publish fast paced action thrillers, surrounding an assassination team. When did you decide that you wanted to be a writer? I have always known I wanted to write. I just wasn’t serious about it until about 10 years ago. What books have most shaped your writing and why? There are a lot of books that have shaped my writing, and me as a person. In terms of thriller writers, I would say David Baldacci, Lee Child, Janet Evanovich, Sue Grafton. I also read a heck of a lot of dystopian books. I also love spy thrillers, James Bond, and some fantasy. What’s one book you can reread without getting tired of it? Alice in Wonderland, and anything written by Jane Austen. How do you feel about self-publishing vs. traditional publishing? I feel that it’s an individual choice. More so these days, self-publishing isn’t so frowned upon as a vanity press pathway. I believe that whether you are self-published or traditionally published, the same level of professionalism needs to be maintained and adhered to. If authors want to go down either publishing pathway – then that’s their choice. One day I would love to hybrid my publishing, but who knows what’s in store for the future. What’s your writing like? What about your process? I plan. Then I research. And then I write. I don’t write in chapters – I write in sections and scenes. After I finish writing, I usually read through, send it to my beta readers and critique partners, and then on to my editor. I’m an Indie Author, and self-published. I have a full professional team surrounding me, to ensure that I put out the best product I possibly can. What’s the best advice you have for writers looking to get published? Just keep writing. Then get a professional editor to go over your work. No matter how wonderful you may think your first draft is – a professional editor will help you make it even better. Then get yourself a professional cover designer. You want your work to have the best branding impact out there in the published world. And you want it to look amazing. Where can people find your books? What about your blog or social media accounts? You can find me on Amazon, Facebook, Twitter, and my website. I’m also a cover designer with Dwell Design & Press. Want to be featured in a Path to Publishing post? Leave a comment, email me, or reach out via social media. I’m always accepting new authors to interview!